As I exited the taxi in front of my hotel I met one of my friends. He knew I was coming, he stayed at the same hotel. He had come to meet me. We were going to a party in 1,5 hours. There was still time for a meal. I checked in, dropped my suitcase in my room. Met my friend down in the lobby where he was waiting for me. He said we could go to where they had eaten an hour before. A cheap place serving traditional Latvian food. I could eat, he could have a beer or two. We left the hotel, set out for the restaurant. Lido is a traditional Latvian restaurant chain, serving traditional Latvian food. Cafeteria-Style. Grab a plate, fill it up with whatever meat and veggies you want, add some desserts. Order a beer and find a table to enjoy the feast. Although the locals might complain about the rising prices at the restaurants, they still flock to their nearest branch at lunchtime, for a good meal of Latvian food. 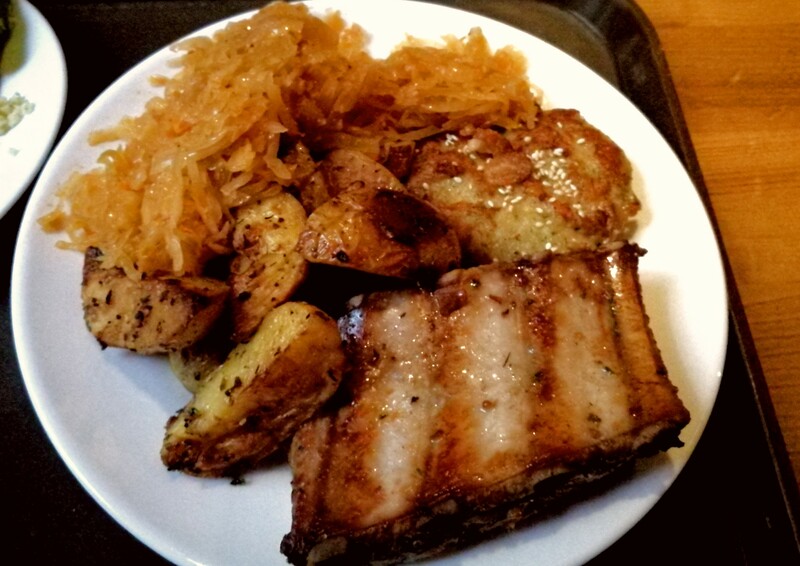 At the restaurant I filled up my plate, a large serving of ribs, octopus balls, sauerkraut and potatoes. I chose one of Lido’s own beers to wash it down. The food was really good. Not michelin-star-good, but well worth the few Euros I paid for it. My hunger quickly disappeared, in the end I could not finish all my food. We ended up just sitting there, drinking beer and chatting. I had not seen my friend for over two months, we had a lot of catching up to do. 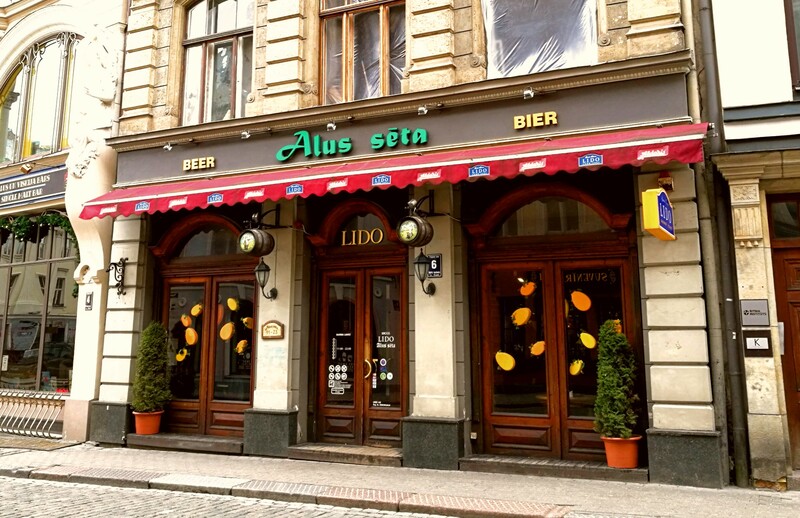 If visiting Riga, a trip to Lido will give you a taste of traditional Latvian cooking. Nothing close to a homemade meal of course, but for a low price you can choos from many dishes and wash it down with a local, tasty beer. I did not have time to go to Lido more than one time on my trip, but if I ever return to Riga I will make sure to visit Lido again. Wow! This restaurant is worth visiting. Riga and this restaurant are on my bucket list! Great review – Latvian food isn’t great for vegetarians but we will pass this on to our friends travelling Europe!